The chewy and bready crust, tart tomato sauce, a variety of toppings, oozing cheese…but when you’re gluten, dairy and most nuts free you have to give it up right? Wrong! You can have an amazing pizza for far cheaper than a personal size frozen one. We made 2 pizzas for under $10 and I used lots of organic ingredients! The “cheese” sauce is made from soaked RAW (don’t use roasted) sunflower seeds! It is so good you might eat it with a spoon. I won’t judge. I kept on dipping my finger in and then would yell from the kitchen at the hubby “it tastes like cheese! Cheese!” Vegans are so creative! Ceara from Ceara’s Kitchen is brilliant, I can’t wait to try her other recipes. 1. Mix water, sugar or honey, and yeast together in a 4 cup bowls. 2. Mix all dry ingredients together in bowl of stand mixer. 3. The yeast water should be bubbly by 5 minutes. Add eggs and oil to the yeast water, then pour in mixer bowl when beating at medium speed. 4. Beat at medium speed for 3 minutes, then cover the bowl and allow to rise for 15 minutes. 5. While dough is rising preheat your oven to 450 degrees Fahrenheit, and prepare your toppings. 6. Place parchment paper over a baking sheet, using a spatula or damp fingers spread half of the dough into a large circle. Add toppings and bake for 10-14 minutes until the crust is cooked and all toppings are heated through. Allow to cool before slicing. 1 batch was enough for 2 pizza plus some leftover. Follow the recipe or cheat like I did and omit the caramelized onions, omit veggie broth (didn’t have any on hand), add dehydrated onions and salt to taste, add garlic, use dehydrated potatoes, and blend without cooking. 1 batch was enough for 2 pizza plus some leftover. 1 small onion, thinly sliced. Ah food intolerances. They can be a pain can’t they? Especially when you need to throw something together quick. 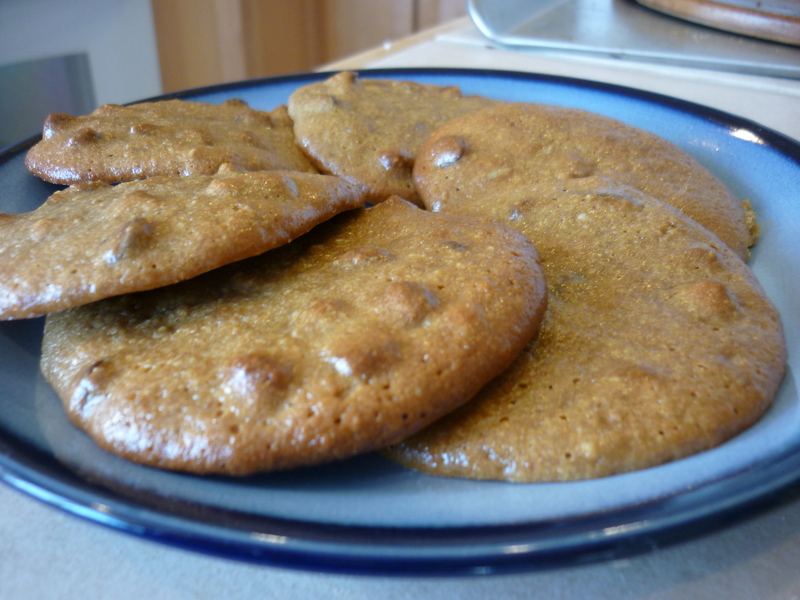 These “peanut butter” cookies are made from sunflower seed butter which tastes similar. There’s no flour and they are gluten free. Ok are you ready for the easiest cookie recipe ever? Preheat the oven to 375 degrees Fahrenheit. In a medium sized bowl mix together 3/4 cup of Sunflower seed butter, 1/2 cup clover honey, and 1 egg until well blended. Stir in 1/2 cup dairy-free chocolate chips (optional for you, but not me!). Scoop heaping tablespoons of cookie dough (it will be almost like muffin batter) 2″ / 5cm apart onto parchment paper lined cookie sheets. Bake for 10-12 minutes until cookies are golden. Try not to eat them all! Hi I'm Jessica. I'm really into Jesus, my husband, healthy eating, cooking, and crafting. Surgery went well yesterday! Thank you all for the prayers and kind words. I’m so glad to have been blessed by so many so I could have surgery with @camrannezhatmd He is one of the kindest, skilled and knowledgeable doctor I’ve ever met.